A loyalist plot to kill Sinn Fein leader Gerry Adams (L) will be covered by a new report into the murder of solicitor Pat Finucane. Photograph: Dara Mac Donaill. A loyalist plot to kill Sinn Fein leader Gerry Adams will be covered by a new report into the murder of solicitor Pat Finucane. The investigation runs to 500 pages and will be published later this month. Publication of the review, carried out by Sir Desmond de Silva, will be marked by a statement in the House of Commons from British prime minister David Cameron. Father-of-three Mr Finucane was shot dead when loyalist UDA/UFF gunmen used sledgehammers to burst through the front door of his home in north Belfast in February 1989. Mr Cameron has accepted that collusion took place and apologised to the Finucane family. A letter from Mr de Silva to Mr Adams said: “Whilst the focus of my report is Patrick Finucane’s murder, it was appropriate for me to examine it in its proper context. “Among the surrounding key issues is the role played by the British Army agent Brian Nelson. Mr Adams said the revelation came as no surprise. 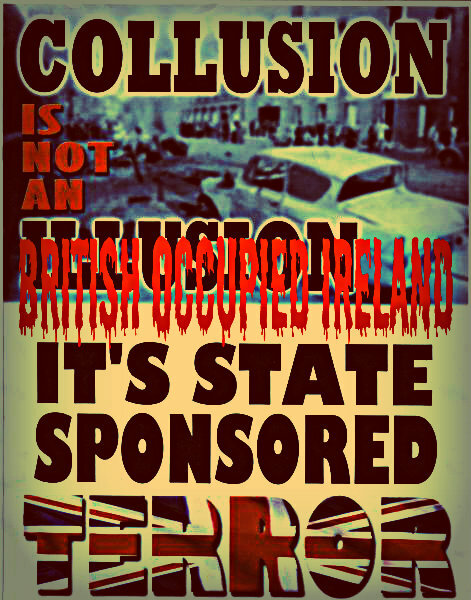 “Collusion between British state forces and unionist death squads was a matter of institutional practise by successive British governments throughout the decades of conflict in the north,” he said. For other people named Patrick Finucane, see Patrick Finucane (disambiguation). Patrick Finucane (1949 – 12 February 1989) was a Belfast solicitor killed byloyalist paramilitaries on 12 February 1989. His killing was one of the most controversial during the Troubles in Northern Ireland. Finucane came to prominence due to successfully challenging the British Government over several important human rights cases in the 1980s. He was shot fourteen times as he sat eating a meal at his Belfast home with his three children and his wife, who was also wounded during the attack. In September 2004, an UDA informer, Ken Barrett, pleaded guilty to his murder. Two public investigations concluded that elements of the British state apparatus colluded in Finucane's murder and there have been high-profile calls for a public inquiry. However, in October 2011, it was announced that a planned public inquiry would be replaced by a less wide-ranging review. Born into a Catholic family in 1949, Finucane was the eldest child with six brothers and one sister. He graduated from Trinity College, Dublin in 1973. One of his brothers, John, a Provisional Irish Republican Army (IRA) member, was killed in a car crash in the Falls Road, Belfast, in 1972. Another brother, Dermot successfully contested attempts to extradite him to Northern Ireland from theRepublic of Ireland for his part in the killing of a prison officer; he was one of 38 IRA prisoners who escaped from the Maze in 1983. His third brother Seamus was the fiance of Mairead Farrell, one of the IRA trio shot dead by the SAS in Gibraltar in March 1988.Seamus was leader of an IRA unit in west Belfast before his arrest in 1976 with Bobby Sands and seven other IRA men, during an attempt to destroy a furniture store in south Belfast. He was sentenced to fourteen years' imprisonment. Finucane's wife, Geraldine, whom he met at Trinity College, is the daughter of middle-class Protestants; Together they had three children. Pat Finucane's best-known client was the IRA hunger striker Bobby Sands. He also represented other IRA and Irish National Liberation Army hunger strikers who died during the 1981 Maze prison protest, Brian Gillen and the widow of Gervaise McKerr, one of three men shot dead by the RUC in a so-called "shoot-to-kill" incident in 1982. In 1988 he represented Pat McGeown who was charged in connection with the Corporals killings, and was photographed with McGeown outside Crumlin Road Courthouse. The Ulster Defence Association/Ulster Freedom Fighters (UDA/UFF) claimed they killed the 39-year-old solicitor because he was a high-ranking officer in the IRA. Police at his inquest said they had no evidence to support this claim. Finucane had represented republicans in many high profile cases, but he had also represented loyalists. Several members of his family had republican links, but the family strongly denied Finucane was a member of the IRA. Informer Sean O'Callaghan has claimed that he attended an IRA finance meeting alongside Finucane and Gerry Adams in Letterkenny in 1980. However both Finucane and Adams have consistently denied being IRA members. In Finucane's case, both the RUC and the Stevens Report found that he was not a member. Republicans have strongly criticised the claims made by O'Callaghan in his book 'The Informer' and subsequent newspaper articles. One Republican source says O'Callaghan "...has been forced to overstate his former importance in the IRA and to make increasingly outlandish accusations against individual republicans." In 1999, the third inquiry of John Stevens into allegations of collusion between the security forces and Loyalist paramilitaries concluded that there was such collusion in the murders of Finucane and Brian Adam Lambert. As a result of the inquiry, RUC Special Branch agent and loyalist quartermaster William Stobie, a member of the Ulster Defence Association was later charged with supplying one of the pistols used to kill Finucane, but his trial collapsed because he claimed that he had given information about his actions to his Special Branch handlers. The pistol belonged to the UDA, which at the time was a legal organisation under British law. A further suspect, Brian Nelson, was a member of the Army's Force Research Unit. He had provided information about Finucane's whereabouts, and also claimed that he had alerted his handlers about the planned killing. In 2000, Amnesty International demanded that the then Secretary of State for Northern Ireland, Peter Mandelson, open a public inquiry into events surrounding his death. In 2001 as a result of the Weston Park talks, a retired Canadian Judge Peter Cory was appointed by the British and Irish governments to investigate the allegations of collusion by the RUC, British Army and the Gardaí in the killing of Finucane, Robert Hamill and other individuals during the Troubles. Cory reported in April, 2004, and recommended public enquiries be established including the case of the Finucane killing. In 2004 a former policeman, Ken Barrett, pleaded guilty to Finucane's murder. His conviction came after a taped confession to the police, lost since 1991, re-surfaced. In June 2005, the then Irish Taoiseach Bertie Ahern told a US Special Envoy to Northern Ireland that “everyone knows” the UK government was involved in the murder of Pat Finucane. On 17 May 2006, the United States House of Representatives then passed a resolution calling on the British government to hold an independent public inquiry into Finucane's killing. A public inquiry was announced by the British Government in 2007, but under the Inquiries Act 2005, which empowers the government to block scrutiny of state actions. Finucane's family criticised its limited remit and announced that they would not co-operate. Judge Peter Cory also strongly criticised the Act. Amnesty have reiterated their call for an independent inquiry, and have called on members of the British judiciary not to serve on the inquiry if it is held under the terms of the Act. Finucane's widow, Geraldine (b. 1950), has written letters repeating this request to all the senior judges in Great Britain, and took out a full-page advertisement in the newspaper, The Times, to draw attention to the campaign. In June 2007, it was reported that no police or soldiers would be charged in connection with the killing. On 11 October 2011, members of the Finucane family met with Prime Minister David Cameron in Downing Street. Cameron provided them with an official apology for state collusion into Pat Finucane's death. Following the meeting, Finucane's son Michael said that he and the family had been "genuinely shocked" to learn that the Cory recommendation of a public enquiry, previously accepted by Tony Blair, would not be followed, and that a review of the Stevens and Cory casefiles would be undertaken instead. Geraldine Finucane described the proposal as "nothing less than an insult...a shoddy, half-hearted alternative to a proper public inquiry". The following day, the official apology was given publicly in the House of Commons by the Secretary of State for Northern Ireland, Owen Paterson. Finucane's law firm, Madden & Finucane Solicitors, led by Peter Madden, continues to act for those it considers to have been victims of mistreatment by the State, or their survivors. The Pat Finucane Centre (PFC), named in his honour, is a human rights advocacy and lobbying entity in Northern Ireland. ^ "Timeline of Finucane murder probe". BBC, 23 September 2004. Retrieved on 09 August 2008. ^ "Pat Finucane: A controversial killing". BBC, 13 September 2004. Retrieved on 09 August 2008. ^ "Pat Finucane: A controversial killing". BBC. 13 September 2004. Retrieved 2007-10-14. ^ Ed Moloney. "UN to Seek Inquiry into Finucane Murder". Sunday Tribune. Retrieved 2007-10-14. ^ a b Bennetto, Jason (14 September 2004). "Loyalist who helped police admits killing Pat Finucane". The Independent. Retrieved 12 October 2011. ^ Rutherford, Adrian (4 June 2011). "WikiLeaks: Everyone knows the British government was involved in Pat Finucane murder, said Bertie Ahern". Belfast Telegraph (Belfast). ^ "Judiciary must not take part in inquiry sham"
^ "Pat Finucane's family shocked by government's "change of mind"". BBC News website. 12 October 2011. Retrieved 12 October 2011. ^ "UK plans probe into 1989 killing of Belfast lawyer". Forbes. 12 October 2011. Retrieved 12 October 2011. ^ "Apology for 1989 Finucane murder". Belfast Telegraph. 12 October 2011. Retrieved 12 October 2011. The Pat Finucane Centre - for human rights and social change.